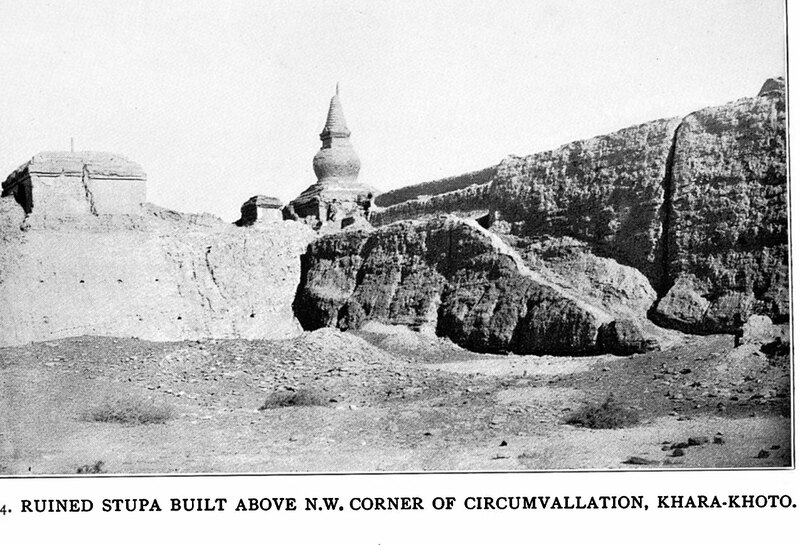 On Central Asian Tracks 114 - Ruined stupa built above N.W. corner of circumvallation, Khara-khoto - Here Stein jumps ahead to his visit during the third expedition to this remote medieval city near the Mongolian border. Many photos are in his report - Innermostasia. The remarkable ruin still exists.